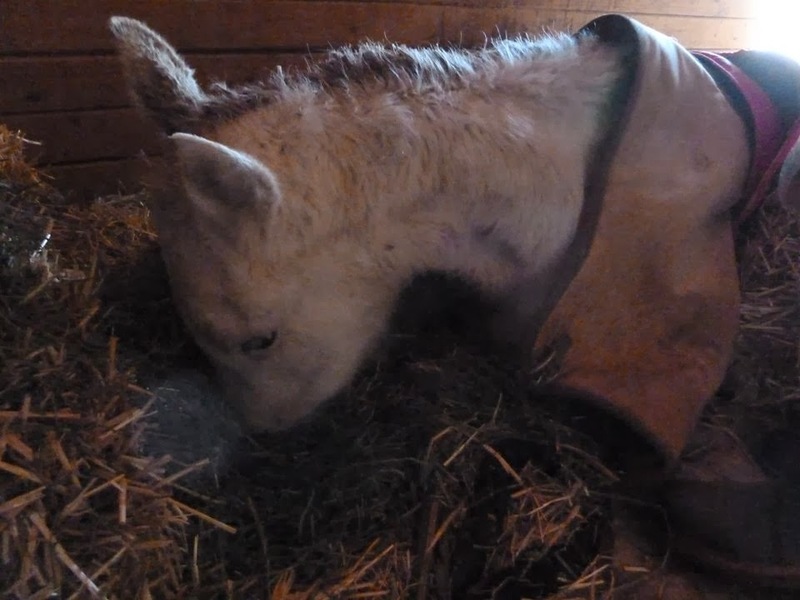 An emaciated little horse who looks to be...napping maybe? But no. 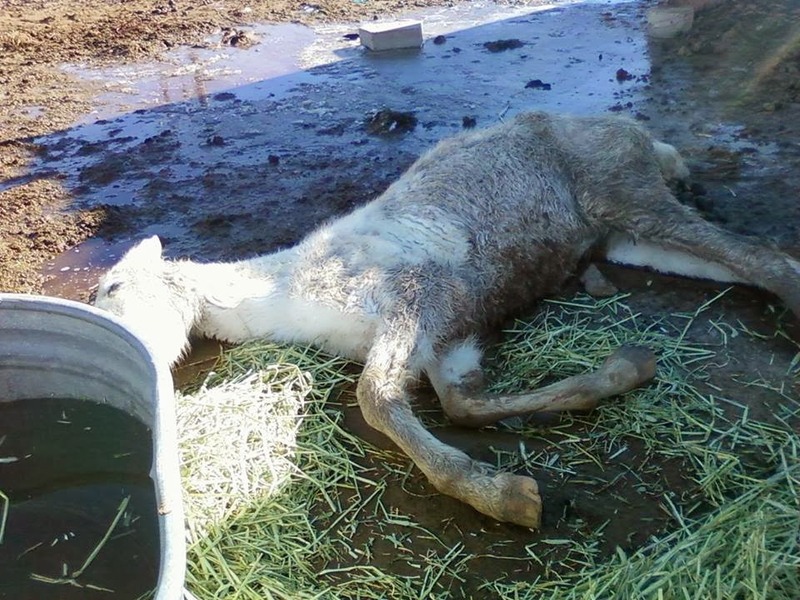 This is a two year old appy filly who was found FROZEN TO THE GROUND for an unknown amount of time in Utah. Her mother, also emaciated, was standing nearby. The two were rescued and brought to Dust Devil Ranch Sanctuary for Horses. There aren't any pictures or updates on Elsa on their website, but there is an option to donate by paypal on the bottom. Their Facebook page is regularly updated: Dust Devil Ranch Facebook. 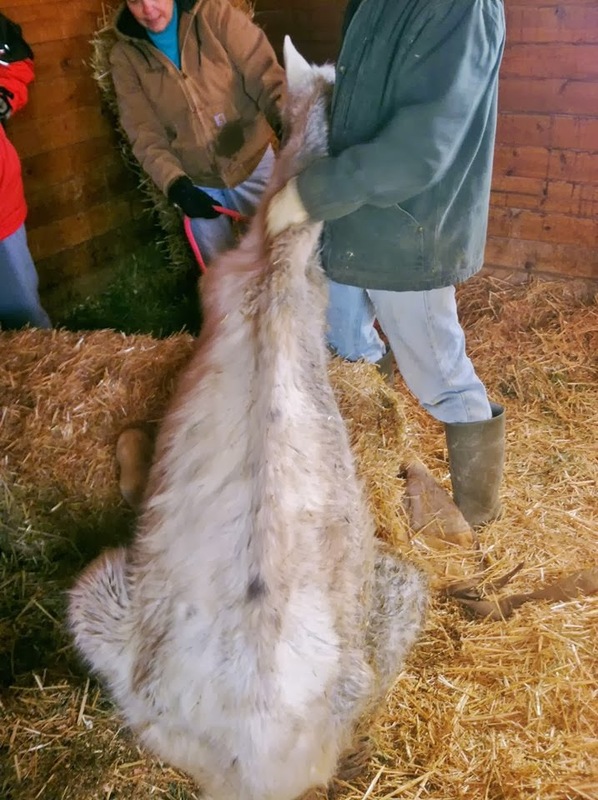 This story just breaks my heart, and seeing all the volunteers and workers holding the 300lb horse up, as she can't stand up on her own, breaks my heart. How can people in this world be so cruel? Especially to animals. How could it have gotten to this point? Please go to Dust Devil's website and donate if you can, you can specify whether you would like your donation to go towards Elsa and her mother, or their general fund. Hoping the best for this little girl and that she gets to enjoy the carefree and healthy life she deserves. 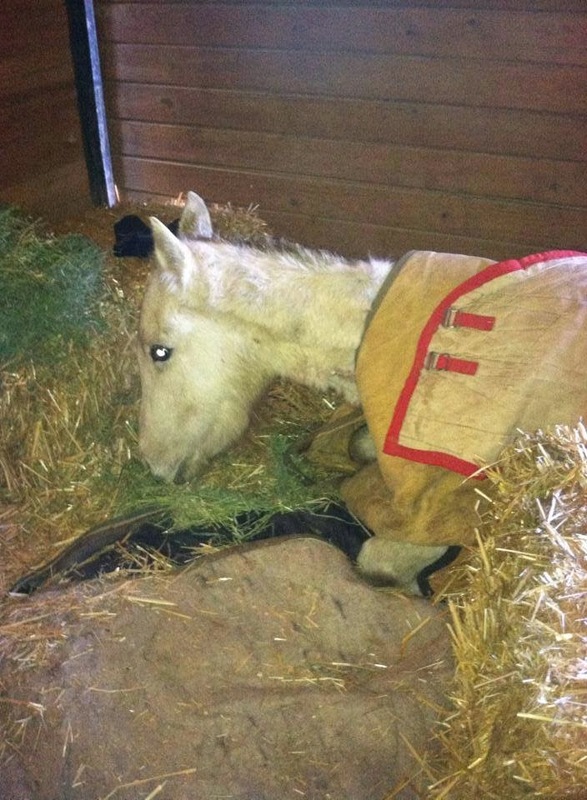 This past week, when we had the coldest temperatures we've ever had in my area in the last 20 years, a friend of mine got involved in a situation where the horse was left outside in icy negative 30 degree weather, slipped on said ice and LAID ON THE GROUND ALL NIGHT LONG until someone discovered him in the morning, because he stupid owner couldn't be bothered to bring him inside. My friend (not her horse) was so upset that she tried to save him. His owner didn't even care. Unfortunately he was beyond repair and had to be euthanized this morning. This story infuriates me and breaks my heart at the same time. These kind of stories are unreal to me. Yea sick sick sick, so sad! :( I wish those people could put to suffer like what they do to their animals. I mean worse case scenario and I hate to say it but if you can't afford to feed it and can't give it away to a better home them at least have it euthanized or even go to auction. even kill buyer horses have a chance at adoption and anything is better than a slow long death of starvation ands neglect! The sad thing is many of those people have serious animal hoarder issues and don't want help. So sad to see things like this. Makes me lose faith in humanity.